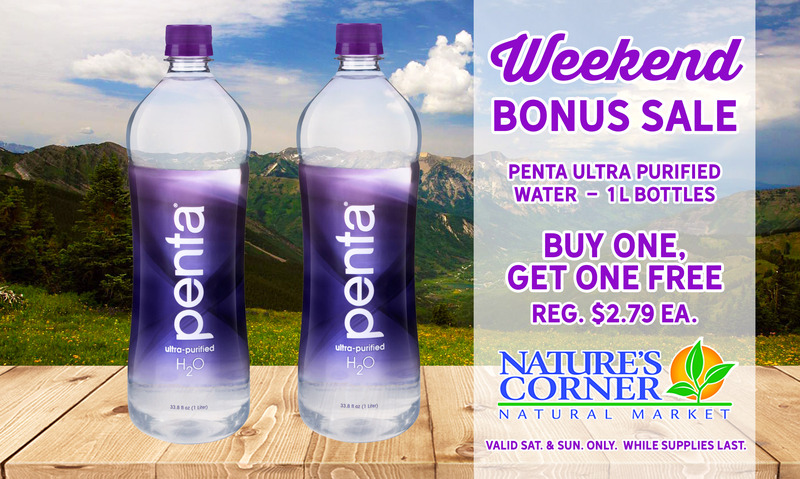 This weekend, Saturday, March 30th – Sunday, March 31st, Penta Ultra-Purified Water (1L bottles) will be Buy One, Get One FREE! Penta water is free from additives, pollution and impurities. Sourced from a natural aquifer, every drop of Penta water is meticulously filtered utilizing a 13-step purification process for perfect hydration and taste.